12 Days Of Holiday Music: Day 4 - "O Holy Night"
Once again, holiday music has moved us beyond words, rendering us completely emotional with streams of tears running down our face. 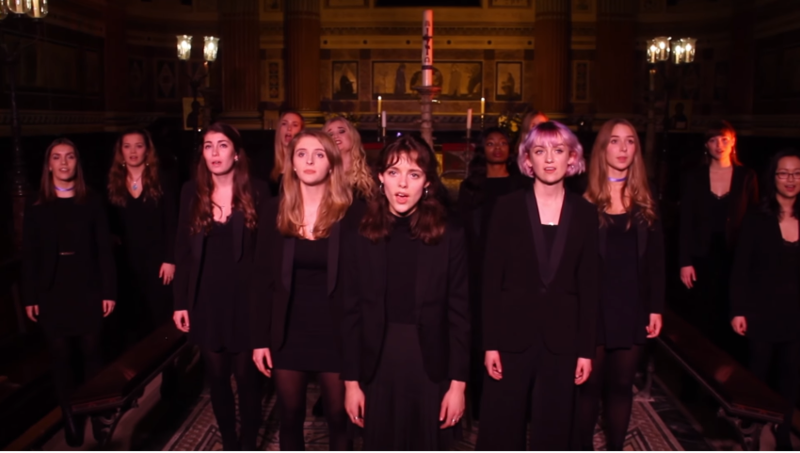 Yes, that is the power of this exceptional video of "O Holy Night" by the Oxford University Belles, the next inclusion into our "12 Days of Holiday Music." The entire performance is exquisite from beginning to end as the Oxford Belles boast a deep roster of talented soloists who each have their own unique approach to the melody of this holiday hymn. Each member's timbre is absolutely stunning, adding new life to the piece with each movement. The embellishments of the backing parts with the flowing higher vocal lines and the group's ability to nail every chord with ease makes this video a real holiday treat.